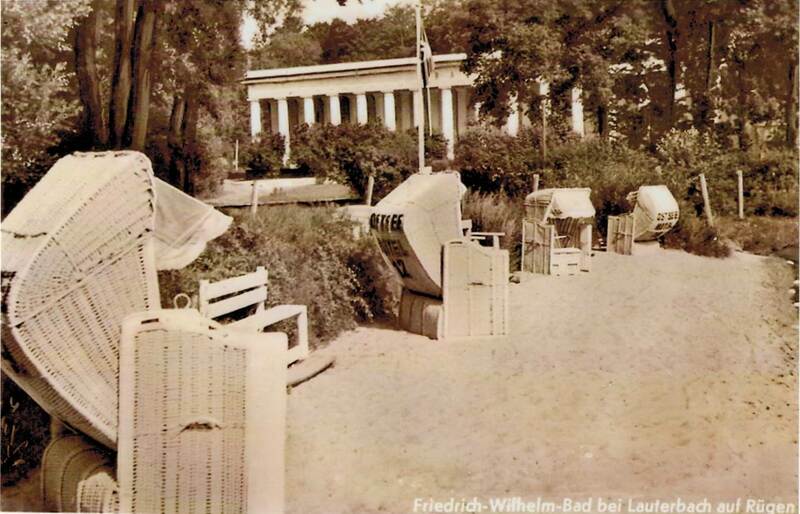 The bathhouse Goor with its name has stood for recreation and relaxation since 1818. Prince Wilhelm Malte zu Putbus had it built for himself and the high nobility. The effect of the bathhouse, which was kept entirely in white, achieved an increased monumentality as a result of the changes and conversions, which is otherwise not to be found in Putbus. 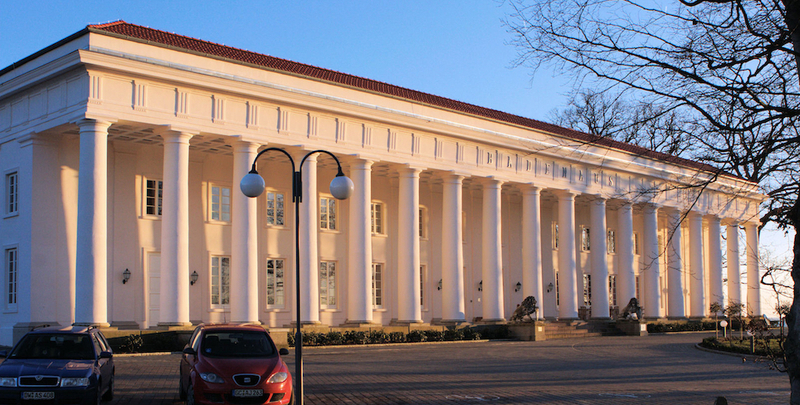 The representative exterior façade with the monumental colonnade from 1830 at the end of the stately avenue gives the building an imposing, extremely aesthetic character. 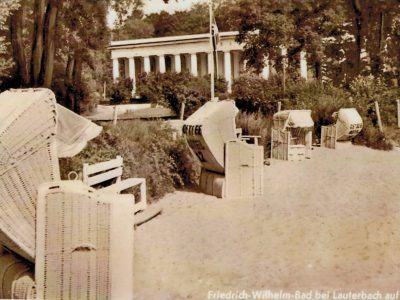 In the second half of the 19th century, the bathhouse Goor was one of the most stylish and distinguished seaside resorts in Europe. Personalities of distinction came to the Goor to relax and recuperate. Among them were Elizabeth von Arnim, Prince Otto von Bismarck and Alexander von Humboldt. In the course of time, the current Hotel Badehaus Goor was rebuilt several times. After the Second World War it was used as a holiday home by the VEB steel strip combine "Hermann Matern" of the main plant VEB Eisenhüttenkombinates Ost (EKO) Eisenhüttenstadt. 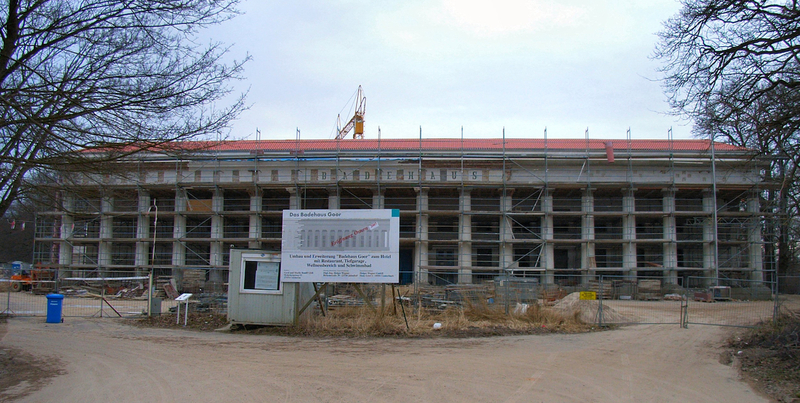 Since 1993 the bathhouse was empty until the start of the construction phase. 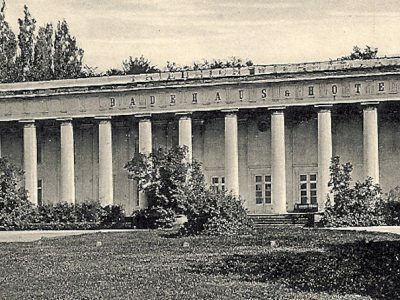 In 2002, the Raulff family took over the decaying bathhouse and invested in its architectural beauty. 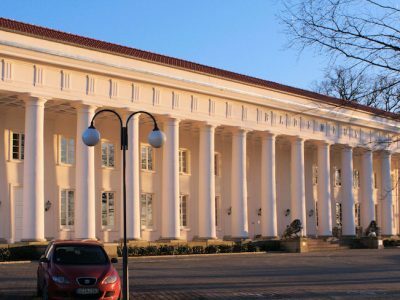 After the acquisition of the bathhouse Goor from the city of Putbus, the reconstruction work for the realization of the project "Hotel Badehaus Goor" began. 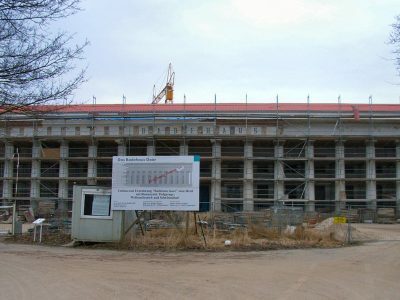 The new hotel building built in 2007 was harmoniously integrated into the historic building and as a whole results in a horseshoe-shaped hotel complex open to the Greifswald Bodden on the lake side. It currently has 85 hotel rooms, an elegant restaurant, a fantastic sun terrace and a spacious wellness area with swimming pool, thermal brine baths and a harmonious sauna landscape.